Diezel Amplification - One of the famous boutique amp companiens from Germany. 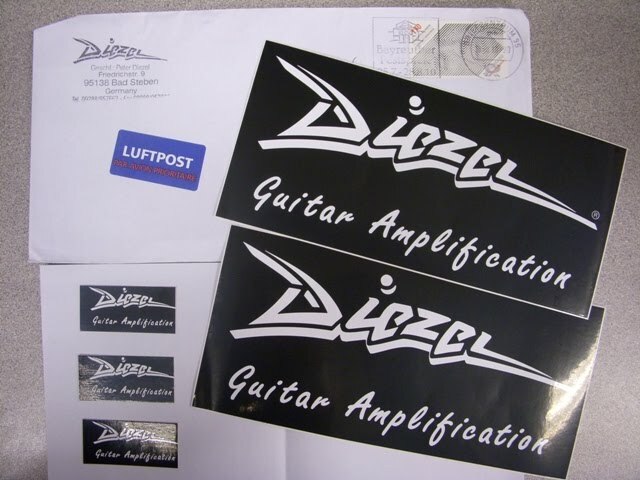 Diezel Amplification - Founded by Peter Diezel and Peter Stapfer. "Herbert" is the name of Peter Diezel's father. Ch2 ("- or +" mode) - From Blues, Hard Rock to all kind of Metal, tight and focus. Ch3 - Juicy saturated lead tone, sustains for days. The most important feature of Diezel Herbert, varies tone from here. You want something like Dimebag PANTERA tone ? You need this for sure ! It can be acted as "Mid Boost" as well. Lethal high-voltage inside the amp ! Be careful ! Stickes from Diezel, Thanks Peter ! 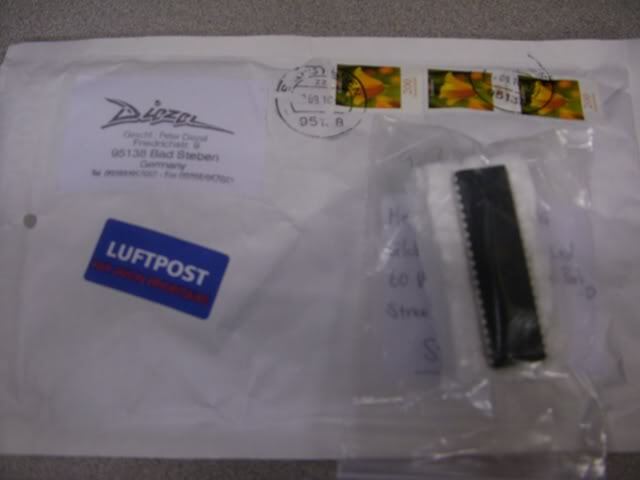 MIDI controller chip sent from Diezel, Thanks Peter ! 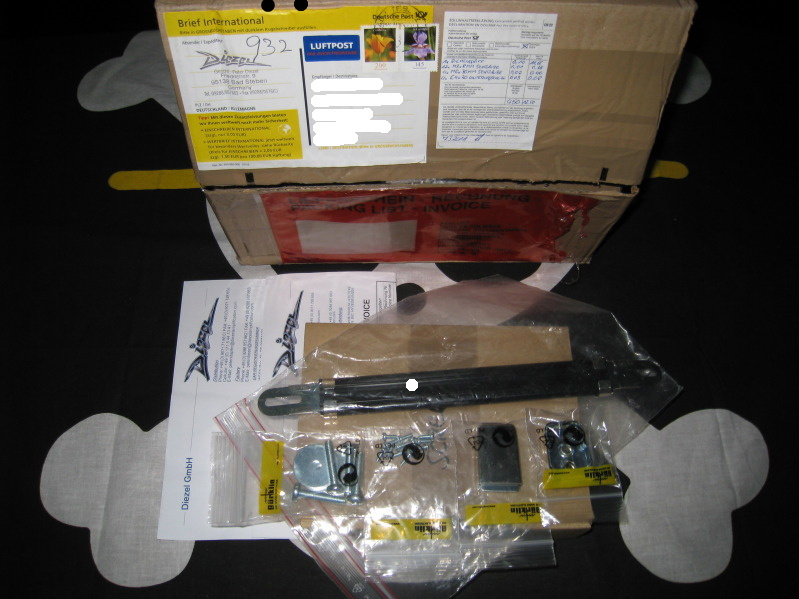 Spare parts for my Herbert , Thanks Peter and Lars ! Diezel is a great company taking great care of their amps and customers. Some people asked me about how does the Herbert go up against with ENGL Invader. which likes the Ch4 of ENGL Invader, but Herbert has tons of gain than Invader. To me, Ch3 Herbert and CH4 of ENGL Invader are the best for solo lead tone. and Ch2 sounds old-school and vintage crunchy. With Herbert, I mainly use Ch2 "+" mode with "mid-cut" engaged for all kind of metal. Of course, Herbert has better clean tone for jazz, funk and country. Both amps are versatile, MIDI switching capable and unique/diferrent from each other. Man that white Herbert looks hot!